The orientation area introduces the six themes explored in this gallery. 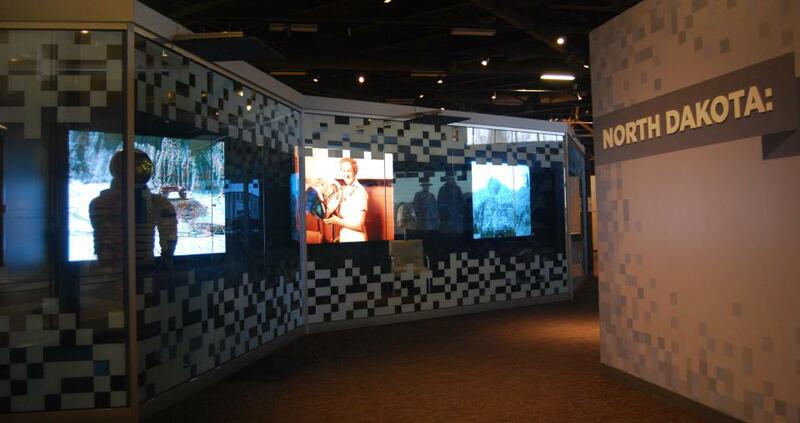 Exhibit cases display an artifact, visual, and audio representing each theme. This centralized area features a way-finding map to direct you to each theme. While the gallery as a whole is not arranged by time periods, most of the themes found within are arranged chronologically.